Today, anyone with £150 can order a genetic test from the comfort of their own home. These tests promise to unlock the secrets of consumers’ DNA, reporting on genetic health risks, carrier status, traits and ancestry. However, with a recent study revealing 40% of the raw data produced in direct-to-consumer tests is incorrect, there is a question mark over how far these tests are benefiting patients or if they are clouding an already complex market. Blue Latitude Health speaks to two experts in the field of genetic testing to learn about this issue and better understand how the industry can unite to solve these challenges. Some of the leading direct-to-consumer genetic testing companies use third-party sites to analyse data. However, this data is not always up-to-date or correct. Now new evidence has emerged showing that an “alarmingly high” 40% of raw data delivered by third parties analysing direct-to-consumer tests is incorrect. Rather than providing a comprehensive genetic risk assessment, these tests analyse a limited set of variants, which are not necessarily causal of conditions. The tests do not consider the impact of environment and lifestyle. Instead, they interpret single-nucleotide polymorphisms (SNPs), and while SNPs can indicate a gene is associated with a disease, many are benign and have no impact on health. While this may be clear to those with a background in genetics, the lack of public awareness around genetic science combined with the limited genetic knowledge healthcare professionals possess, provides a perfect storm of risk for patients. 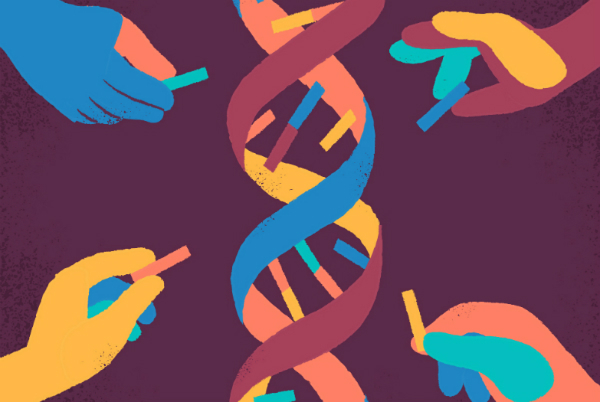 In 2017 the FDA approved the first direct-to-consumer genetic test. However, the approval came with a caveat preventing test results being used to ascertain a consumers’ overall risk for developing a condition. Still, everyday members of the public order these tests, receive the results and visit their doctors to decipher the information, despite the disclaimers and warnings. Who can blame them? If an email landed in your inbox that appeared to indicate you had an increased risk of cancer, Parkinson’s disease, Alzheimer’s disease, or any other potentially life-altering or life-threatening condition, you would want to confirm the results with a healthcare professional too. Taichi Ochi is a Regional Account Manager at Macrogen, a Korean biotech and precision medicine company that specialises in next-generation sequencing. The organisation works across 153 countries. Its services range from conducting government research to providing patients and healthcare professionals with diagnostic results, offering genome studies and using genomics in forensics. To date it has completed 30 million cases of genome sequencing, making it a market expert. What is a variant of unknown significance (VUS)? 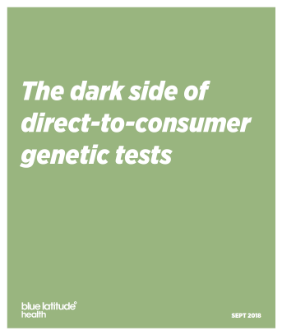 One of the barriers around direct-toconsumer testing is the lack of education on genetic variants held by both physicians and the general public. “Patients are frequently confused by what a variant means. They often misunderstand and think a variant means they have got a disease-causing mutation, which isn’t right” says Vicki Kiesel, a Director at GeneHealth UK with a decade of experience in genetics.